Remember the guitar amp scene in Back to the Future? Just replace the guitar with and iDevice and this is something like that. 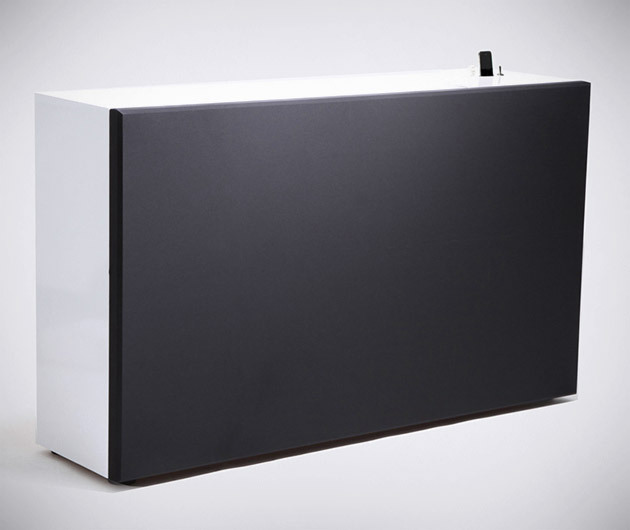 The WOS 2.0 (short for Wall of Sound) is the biggest iPhone speaker you will find. A wall measuring 3.25' tall x 5.5' wide, and weighing a mammoth 390+ pounds, this speaker boast 44 speakers with individual chambers, two subwoofers and a tube amplifier. That said, the speaker also has safety features to protect your ears from hearing damage.